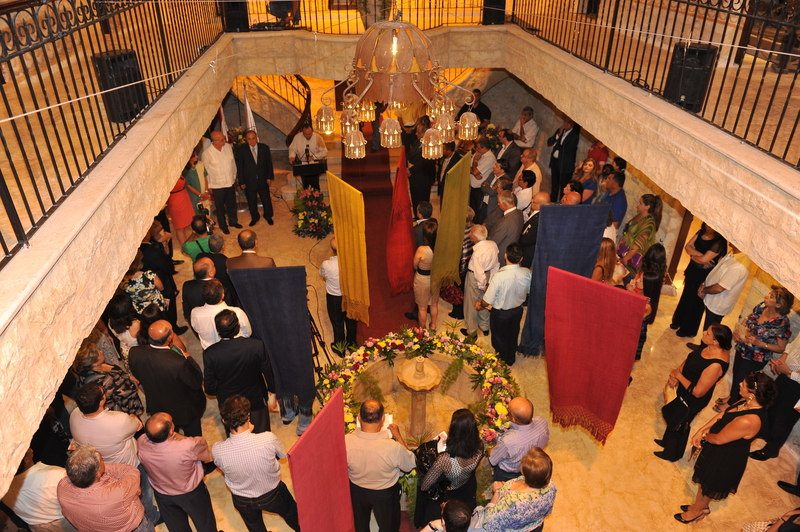 The Textile Museum of Oaxaca and the Municipality of Zouk Mikaël in close collaboration with the Alfredo Harp Helu Foundation and the Embassy of Mexico in Lebanon inaugurated on Thursday 5th of July, the textile exhibition entitled “Silk, a Tender Caress between Lebanon and México” in the presence of HE Ambassador of Mexico, Mr. Jorge Alvarez Fuentes, HE Ambassador of Canada, Ms. Hilary Childs-Adams, HE Ambassador of Turkey, Mr. Inan Özyildiz, HE Ambassador of Uruguay, Dr. Jorge Luis Jure Arnoletti, Mayor of Zouk Mikael, Mr. Nouhad Naufal, Mr. Nabil Semaan, representative in Lebanon of the Alfredo Harp Helu Foundation, director of the Textile Museum of Oaxaca, Mr. Hector Manuel Meneses Lozano, director of the Youth and Culture Center, Ms. Eliane Fersan, President of the Institute of Progressive Women, Ms. Wafa Abed, director of cultural affairs at the Mexican Embassy, Ms. Claudia Maroun, director of the commercial affairs at the Canadian embassy, Ms. Nathalie Nercessian, diplomats, artisans and several personalities from Lebanon and particularly from Zouk Mikael. 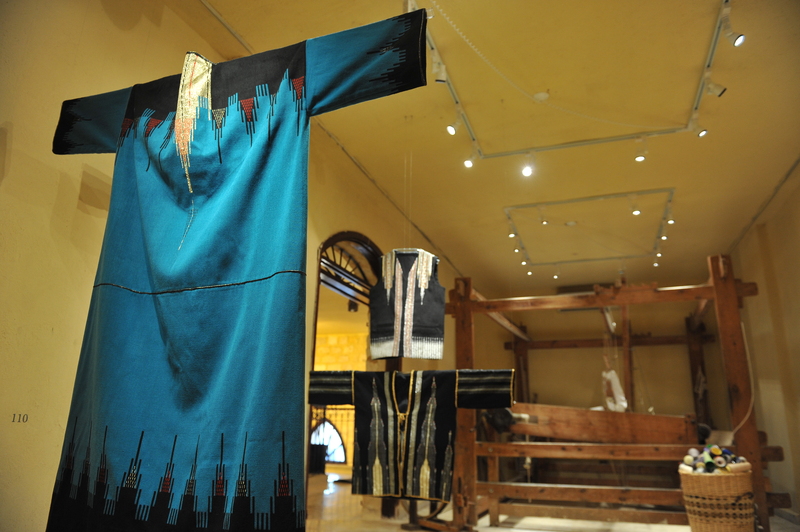 For such a unique event, more than 100 pieces were exhibited to the public highlighting the talent and the tradition of the weavers of the State of Oaxaca and the city of Zouk Mikael. The primary purpose of this exhibition is to emphasize the value of hand-woven textiles and the importance of the silk which are considered an essential artistic component of the culture of Mexico and Lebanon. The handcrafts represented do not just illustrate the history of the fabric in Mexico and Lebanon, but also a cultural past that imposes itself on a world that keeps on changing. 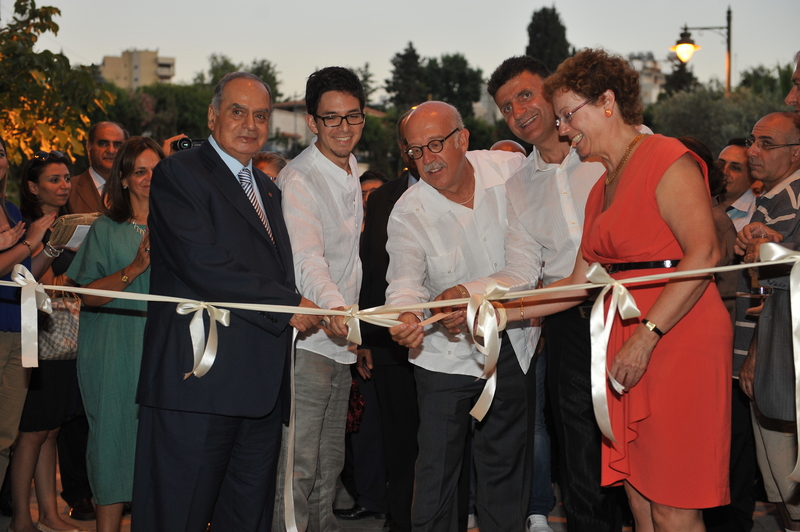 His Excellency the Ambassador of Mexico stressed that this exhibition is the evidence of the willingness of the Lebanese people and particularly the weavers to bring Mexico and its culture to Lebanon, while preserving their heritage. 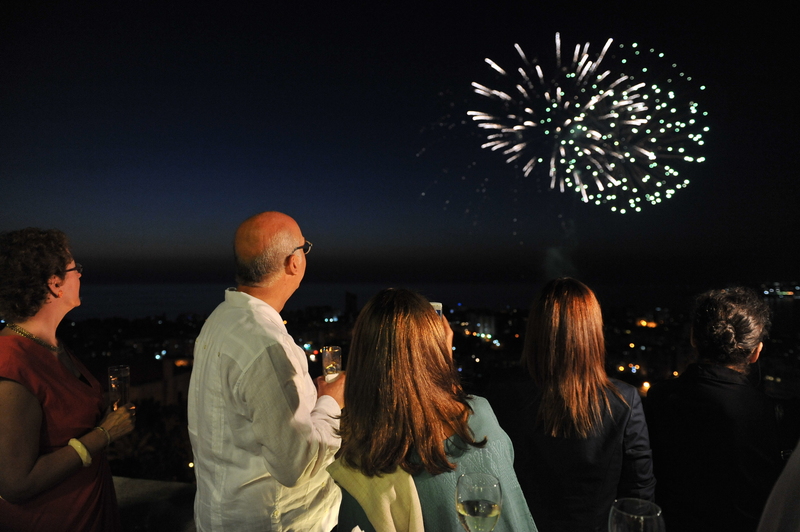 Alvarez added that this cultural activity has strengthened the already cordial bonds of friendship existing between two countries although geographically distant but very close in their mutual affection, allowing to our compatriots to see and to understand the value of our traditions and roots. 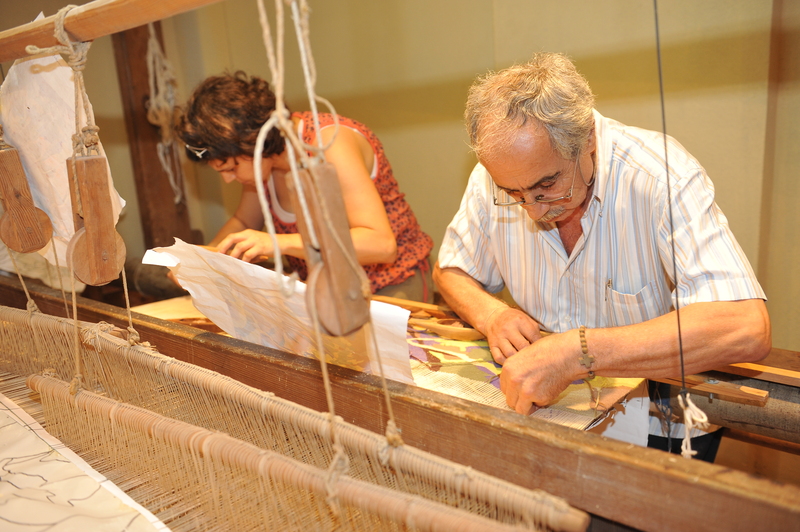 Mr. Nouhad Naufal, Mayor of Zouk Mikael, considered that the main objective of this exhibition is to bring together two cultures marked by the silk and the tradition of weaving. Moreover, this exhibition aims to show the importance of the silk crafts, an art which is sadly disappearing in Lebanon, as well as to encourage the art of Nawl (craft of weaving) which characterizes many Lebanese regions and especially the region of Zouk Mikaël. The exhibition remains open daily from 19:00 until midnight till September 15, at the House of the Artisan in Zouk Mikael. Rich of colors of Mexico and art crafts pieces marked by two different civilizations, this exhibition led by Hector Meneses and Eric Chavez is the evidence of a historical and cultural rapprochement between Oaxaca and Zouk Mikael.